We love a spot of personal finance work from time-to-time in H&G. Don’t ask us why, we just do. But what we really enjoy doing is taking money brands out of the money pages and into news and lifestyle – which is, after all, the media that people really read. So it was with considerable delight that we heard that we would be working with the fine folk of Barclays Bank to help them get more elderly people online. We’ve been working with Barclays (and with Age UK, who they are partnering with in this enterprise) to promote a series of local and regional in-branch events. At the same time, we’ve been working with Barclays to launch their Digital Eagles scheme – a team of over 3,500 people in branches on-hand to help people to get onto the internet, stay safe once they’re there and to help them get to grips with their finances using the tools available. 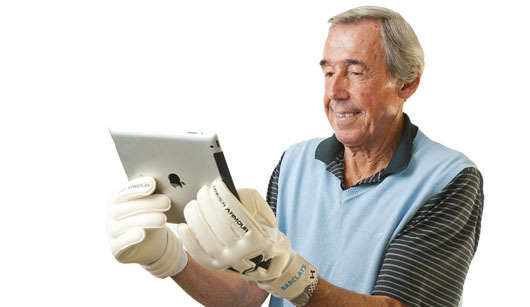 To give ourselves something with a bit of stand-out, we brought in the indomitable (and appropriately-named) Gordon Banks to help us “get the nation saving”. Coverage has been … healthy. The Daily Mail, METRO, Daily Express, Daily Mirror, The Sun, Daily Star, Daily Telegraph, The Times and The Independent is alright, we reckon. Add in Mature Times, Female First, Male Extra, ShortList and a lovely profile piece with the Telegraph and you’re laughing, really. Then there was some healthy broadcast, with a bunch of regionals and a spot on talkSPORT’s Sports Bar.